Over the past three generations, the rules of homemaking and our very notions of what a homemaker is and does have radically changed. We are still a nation of makers, but we are crafting and creating beyond the home, in both the analog and digital worlds. And in the next ten years, "making" and "homemaking" will evolve further. Tomorrow's women will find themselves actually manufacturing everything from decor to clothing, from right inside their homes. 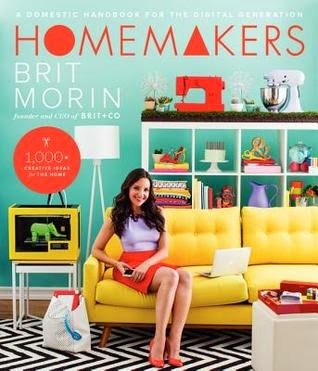 In Homemakers, Brit Morin, founder of the wildly popular lifestyle brand and website Brit + Co., reimagines homemaking for the twenty-first century. While today's generation thrives in the virtual world, they like to work and create in the physical world. Morin inspires you to combine the best of analog and digital, to help you reconnect with your inner creative child-the one who used to love to draw, to build, and to play-to make your home a more creative, functional, and beautiful place. The writing here is fine, although, to be honest, there's not that much of it. Or at least that much of it to judge as far as quality goes. That's not a criticism, because it's exactly what you'd expect from this kind of book - heavy on pictures, how-tos, and infographics. Pretty to look at and fun to experience, but not a lot of text, with the exception of captions and lists. This has a lot of valuable information on the basics of homemaking and is presented beautifully with lots of images and graphics, rather than blocks of text. I especially the list of recommended apps included with each chapter and the look at upcoming technology that will change how we live, work, and play. If there's a downside, it's that most of this information can honestly be found online without the purchase of the book. It's nice to have and I'm still debating whether or not to keep my copy as a reference or pass it on to the library. It's super pretty and I love all of the information, but it's a chunky book and, like I said, doesn't have anything in it that I couldn't easily find on Pintrest. I thoroughly enjoyed the read, but I think this may be one that I'd recommend you check out from the library rather than buy - unless you have a particular spot in your heart for pretty Pintrest-like style images. It would make a nice coffee table book, or if you collect home-decor/fashion books. 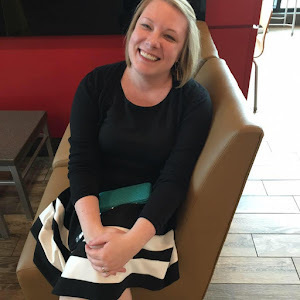 While I'm not sure it's a must-own, it did inspire me to follow Brit + Co online and gave me some great ideas for my house. Thanks to Harper Collins for providing me with a copy to review! Definitely a giant book, I'd second the recommendation to just check it out from the library. Very neat book, but like you said most of the ideas are easily found online.